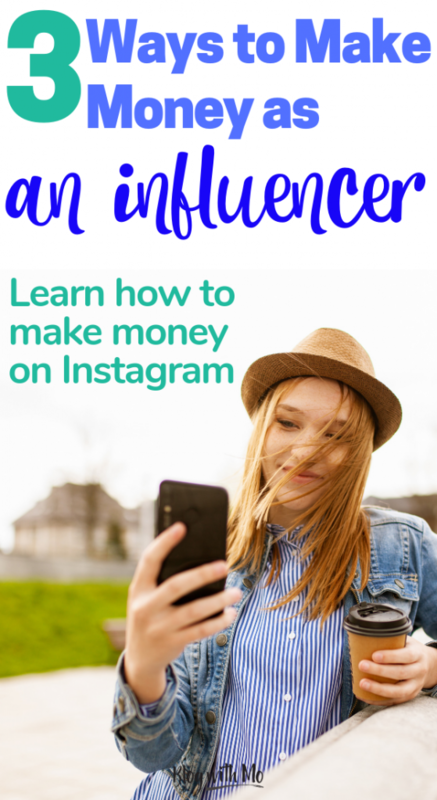 This is going to go against the grain of what I preach a little on this blog but yes, you can totally make money as an influencer without having your own blog or website. 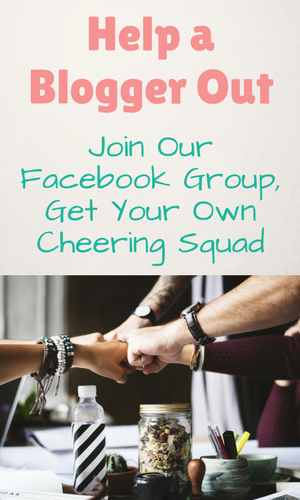 Since so many people join my Facebook group wanting to grow their Instagram following and not actually wanting to start a blog, I figure I’d help them out too and share some ways that you can make money on Instagram. 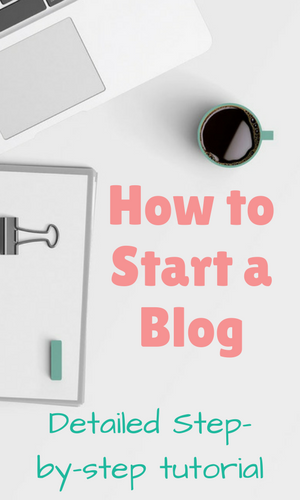 Now, while you don’t need to start a blog to make money online, I want you to do the very minimum and that is to build your email list. Having an email list will be crucial to your profits even as simply an influencer. 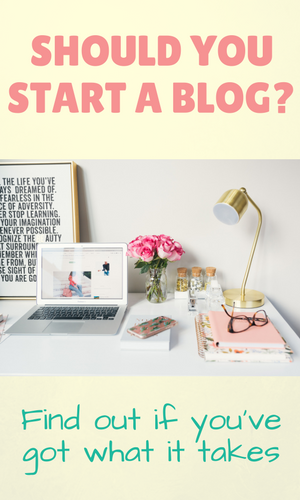 In this post I’ll share with you how to get one going and what to send to your list to make money even without having a website set up. The bottom line is that you don’t own your audience on any social media platform. We saw with the recent Facebook and Instagram outage of over 8 hours, some people went berserk, having nervous breakdowns and losing thousands of dollars of business because they weren’t able to post and engage with their followers. You are at the mercy of an algorithm. Facebook and Instagram don’t care to show your posts to all of YOUR audience, they care more about THEIR audience and THEIR bottom line. People have been complaining and begging for months for Instagram to go back to chronological timelines so we’ll see posts in the order they occur. These requests have fallen on deaf ears because that’s not what makes Instagram money. Their algorithm does. And they can do what they want to do with their platform. You’re gambling everything by building your business on their platform. It’s time to take control of your audience. Let’s look at an example. I’m about to drive this home for you. Say you’re a motivational type of IG influencer. You share quotes, thoughts, and pictures that inspire your audience. You’ve grown quite the following doing this and you’ve started to monetise by sharing your favorite books with your audience. You have the swipe up feature on IG so whenever you share a new book, you use a special link and when your audience goes and buys that book, you get a cut of the sale. This is called affiliate marketing by the way, we’ll talk more about this in a bit. You make good money doing this. You’ve moved from sharing books to cute cups and bags with quotes and all types of merch that your audience loves. You’re in a battle to constantly grow your audience so more people will buy the things you recommend. What if there was a better way to share your favorites with your audience? Research shows that it is so much easier to sell something to someone who’s bought from you before. If they loved the product, they’re more likely to buy from you again because in their eyes, you recommend some totally cool things. So there you are sharing your latest fave with your IG fam in your stories. Stories are only available for 24 hours so some of your most engaged followers who always buys whatever you recommend is offline that day. Or maybe they’re even online but algorithms cause them to miss your updates that day. They totally miss your recommendation. What if, you had their email addresses? So every week, you send them an inspiring story in their inbox and they love your stories because you connect with your audience so well. That’s how you grew your large audience in the first place. In a section of your email, you link to all the faves you mentioned on IG this week. This is a great idea since your followers turned email subscribers will always have this link sitting in their inbox, whether they opens the email today or next week. One of them even saves all your emails cause she loves your stuff so much and when she’s having a chat with her friend who’s looking for the perfect statement tee, she remembers one you raved about in an email you sent her and forwards the email to her friend. She probably wouldn’t have bothered to try finding it back by scrolling endlessly through your IG feed or highlights. One quick search in her inbox and there you are. Then the next time IG goes down, who’s worried? Not you! Cause you have taken control of your audience and can still send them an email with your recommendations while social media gets its act together. You can even send an email to your audience with a rant about social media and connect with them even more. By now I hope I’ve convinced you that every influencer needs an email list. 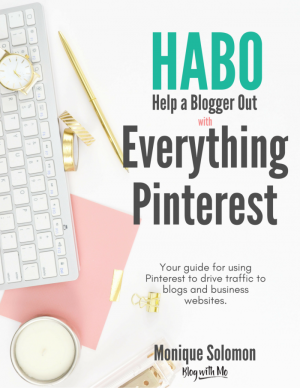 This isn’t just for businesses and bloggers. This is for anyone wanting to make money online. So how do you actually get things all set up? Simple. 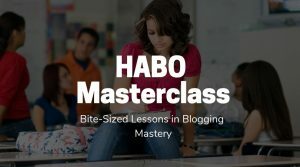 Go to ConvertKit and sign up. 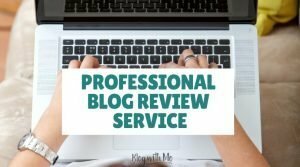 They are the email service provider that I use for all my blogs. You’ll be investing just $29 each month for an amazing set of features that will all help you to build your business exponentially. But if you do this right this minute, you’ll have the added bonus of participating in their 30-day landing page challenge and get 30 days of their service FREE. That’s right, they’ll show you how to build a high converting landing page and allow you to make your first dollars with them without having to pay them. You might even win some cash while doing it. Next, think of something you’ll give away to your audience. This freebie is something you’ll give to anyone who signs up for your email list. While your fans adore you and some of them will absolutely jump on your email list just because you’ve asked them to, you’ll have a much higher conversion rate of people who actually sign up for your list if you offer them something of value. Think of something you know your audience would love. Going with our motivational influencer, maybe you could offer a free printable 30-day planner with some of your favorite quotes on a few of the pages. You could also offer a free 5-day course on something like cultivating more gratitude or raising your self-esteem. When they sign up, they will automatically get an email every day with one actionable item from you that will help them to achieve that goal. This can be all be set-up in Convertkit without any further intervention necesary from you! If you’re a fitness influencer you could offer them a free 7-day meal plan or home workout video. A travel influencer could offer a packing list and a fashion or beauty influencer can offer a PDF with some discount codes for several common products all in one place. You will know best what will work for your audience. You can even poll them and ask them what they would want from you. You can then create this piece of content, whether it’s a video, free email course or a printable or have someone create it for you. Now you’re ready to set up a landing page to collect email addresses and have your freebie sent automatically to anyone who signs up to your email list. 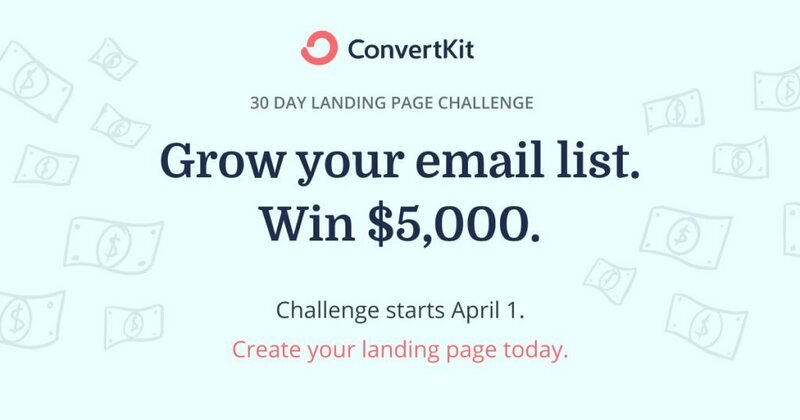 Be sure to sign up for the Convertkit 30-day landing page challenge here. They will help you with the tech side of setting up your landing page. Don’t worry, it’s nothing difficult. I’ve done this a million times before. I’m still participating in the challenge myself because there’s an art to writing a good landing page that gets people to sign up to your list and I want all the tips. 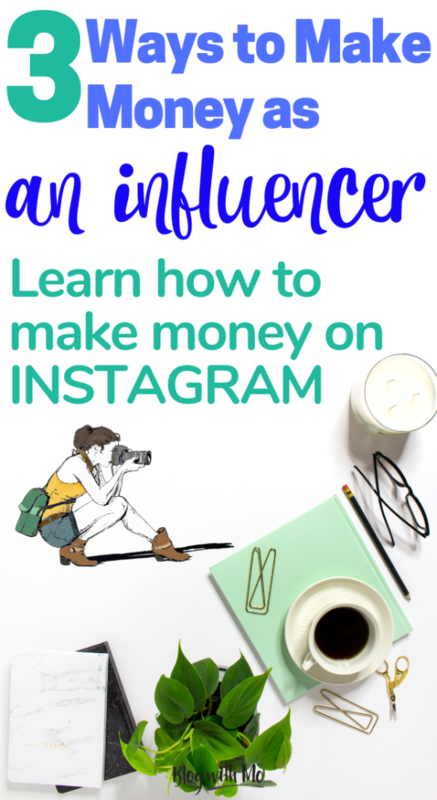 They will also be sharing ways that you can market your landing page other than linking to it on Instagram so you can reach a much wider audience. Ok so now that I’ve told you about setting up your email landing page to collect email addresses, let’s get to why you’re here. 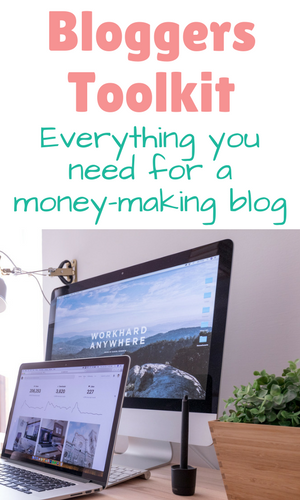 The three ways that I’ll be going over today are sponsored posts, affiliate marketing and email marketing. Yes, there’s more to email marketing than just setting up your landing page to collect email addresses. I’ll share with you what to send to your audience in your emails to make more money. You can also make money as an influencer by selling yourself as a speaker or by offering coaching. I’ll touch on this later. If you’re an influencer, you probably know what a sponsored post is. This is where brands pay you to promote their stuff on the ‘gram. This is a very lucrative industry and there’s a piece of the pie for you whether you have 5000 or 500,000 followers. In fact, brands are now turning to influencers with smaller audiences because engagement is where it’s at. Large influencers are sometimes buying followers or practicing that annoying follow-unfollow strategy to grow their audience and these shady tactics lead to an audience who aren’t engaging with your content. More and more brands want to see that you have the ability to actually convince people to engage in a conversation and take action, whether that be to buy a product, follow a brand, jump on their email list or whatever the case may be. Micro-influencers, it’s your time to shine. I won’t link to any specific company because I find that there are always new agencies arising but one way to connect with brands is through a digital influencer marketing platform. Simply Google the term “influencer agency” and you’ll see a bunch of agencies pop up where you can sign up for paid campaigns. You’ll also get a bunch of articles comparing the top ones so this is a good place to start your research. You can also simply reach out to the company itself. If you find that you talk about one brand all the time, tag them on IG. Sometimes that’s all it takes for them to reach out to you when they see you recommending their product occasionally. If that doesn’t move them then look up who their PR contact is, this can be easy to find on LinkedIn, then send them an email. Explain to them who you are, why you love their product, link to a post where you got good engagement recommending their product and then ask them if they offer paid brand sponsorships. Turn on your charm and professionalism and land yourself a deal. You’ll be paid much more this way than if you go through an influencer agency so cut out the middle man and land your own deals. How much money can you make with a sponsored post on Instagram? The rule of thumb is usually around $100 for every 1000 followers you have so start with that as your ballpark. Then, when you land your brand deal and you publish your post, be sure to email your audience and tell them about your new post so they’ll all head over and engage with it, making you look really good to the brand. See just how much your email list will help you to make money as an influencer? I introduced affiliate marketing above. This is where you get a special link from a brand called your affiliate link. It’s a unique link that tracks every action taken so that the company can pay you if someone uses your link to take action. Let’s start with Amazon. Most people use, know and love Amazon. Amazon has their own affiliate marketing and you can sign up for a free Amazon Associates account to share products from Amazon using your unique affiliate link. So whenever you make a post on Insta and a follower says “Love your hat, where’s it from?” you can send them to Amazon using your unique affiliate link to that hat. If they buy, you get a commission because Amazon was able to track that that person bought the hat using your unique link. So the sale gets attributed to you. How many times have you shared a product on IG and wished you could be getting some of the sales? Many different brands have their own affiliate program so you can link to their products and get commission from any sale you influence. I am an affiliate for hair products, keto diet products and all sorts of products that I use and share with my followers often. Google your product and the words affiliate program to see if they have their own. So for instance, search for “instant pot affiliate program”. If there’s none, you can probably find them or a similar product to promote on Amazon. There are also affiliate marketplaces similar to influencer agencies. These are middle men who companies use to manage their affiliate program. You sign up to the affiliate marketplace then from there you can join the affiliate program for different brands. One such marketplace is Shareasale. If you have the swipe up feature this is awesome because you can link to a myriad of different products in different posts. If you don’t yet have the swipe up feature, then use a service likeLink Tree that allows you to have multiple things linked in your bio. Read my post to get a deep dive into affiliate marketing. So above I told you why you need to collect email addresses and how to get it all set up, now let’s talk about how to make money using that email list. Let’s start with a weekly newsletter. Let’s face it, not all of your audience will see you Instagram posts and even worse, your stories. Sending a weekly newsletter with your content allows for more people to consume your content at a time that’s convenient to them. So you can simply start with a round up of some of the things you posted on IG for that week, prompting them to head to your profile to check out the rest. This increases engagement to your profile every time you send out an email. You can take this up a notch by including your favorite products in a section of the email. I follow one influencer in the vegan, zero-waste space and she sends out an email every week with different tips on going zero-waste and living the vegan lifestyle. I have no intention of actually going vegan, but I love some of her tips and recipes. 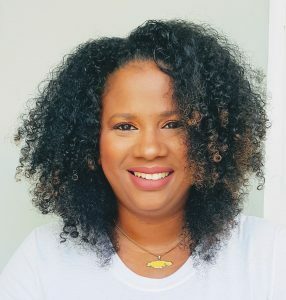 She’s sent emails like beauty items that are cruelty free, how to transform your hygiene products to zero-waste products how to shop zero-waste at the supermarket, how to make your own dry shampoo and lots more. She links to her favorite items that support this lifestyle of course. Another influencer I follow is a mom who’s supremely popular in the fashion and beauty space. She sends a monthly email with baby items she’s loving this month as well as beauty items she’s loved or hated and links to things she’s worn that month on Instagram. Another idea is to create a journey for your followers. Think about the questions your audience asks you time and time again. You can turn these questions into a welcome series so that every time someone signs up for your email list, they automatically get these emails, once per week, in their inbox. The lovely zero-waste influencer for instance, is asked for her dry shampoo recipe quite often on Instagram. she has it as a highlight on her profile so she sends people there. However a better idea would be to send people to her landing page to get an email with the recipe. She could then take them on a journey through all the previous emails she’s sent out that were all quite gold, by putting them in a welcome series. It would be a shame to send an email once and miss all the people that sign up to your list after it’s sent out. If you notice a particular email has done really well or if you have a signature product you want to promote to everyone who signs up for your email list, set up an automatic sequence so that everyone who signs up for your list gets taken through the journey of these popular emails. You can do this very easily with Convertkit. Sending emails out to your subscribers automatically literally puts your earnings on automatic status as you watch the money roll in every time an email is sent out to a subscriber without any work on your part. Set it and forget it. Hello, passive income! We’re all already influencers whether we’re doing it actively or not. Why not make some money whenever you share products you use and love with your audience? I touched a little above on selling yourself as a speaker or as a coach through your email list. If you’re a speaker or coach of some kind or aspiring to be one, I absolutely advocate for you having your own website or blog. A landing page alone won’t cut it for all these reasons. But you gotta start somewhere and an email list is a great place to start. Work on the freebie that will connect most with your audience and put out your landing page. Then start to send emails to your audience that motivates them to take action. If you’re a speaker, start sending out links to videos of past talks you’ve done before with tips relevant to your audience today. You may inspire someone to book you for their next work or social event. If you’re a coach, an ebook or a free course is a great way to get started building your list. Then you can offer a paid course to your audience when they complete the free course or position yourself as a coach who can take them through the next steps. If you need help setting any of this up, be sure to reach out to me. Part of my work as a blog coach is to work with you on the strategy that will increase your earnings online and getting all the tech set up. So have you been leaving money on the table? Send this blog post to every influencer you know. It’s time to take that following you’ve built and turn it into dollar signs.